Wigan Athletic have signed defender Liam Ridgewell on a six-week loan from MLS franchise Portland Timbers. The 30-year-old joined the American side last summer, going on to play 14 times, scoring two goals. 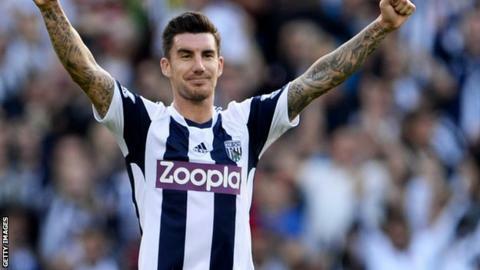 Ridgewell made 351 appearances during his career in England, appearing for Aston Villa, Birmingham and West Brom. "As soon as we found out Liam was a possibility, we moved quickly," Wigan manager Malky Mackay told the club's website. "We have him until the start of the MLS season in mid-February and hopefully we can make good use of his experience in that time. "He is a top-pro who has spent the majority of his career in the Premier League. "But he also knows this league inside out having earned promotion with Birmingham and he will add the kind of experience that will be crucial to us at this time."